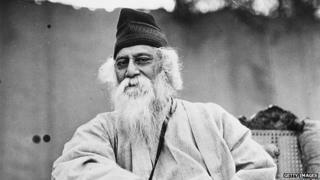 On Tuesday, the governor of Rajasthan state Kalyan Singh, a veteran BJP leader, pulled an old chestnut out of the fire by saying that Nobel laureate Rabindranath Tagore's Jana Gana Mana, had actually praised the British rulers. He said the phrase adhinayak jai he, which literally translates as "hail the leader" should be removed and replaced with mangaldayak, which means the "welfare giver" . His audacious remarks even made it to the front page of a prominent newspaper.